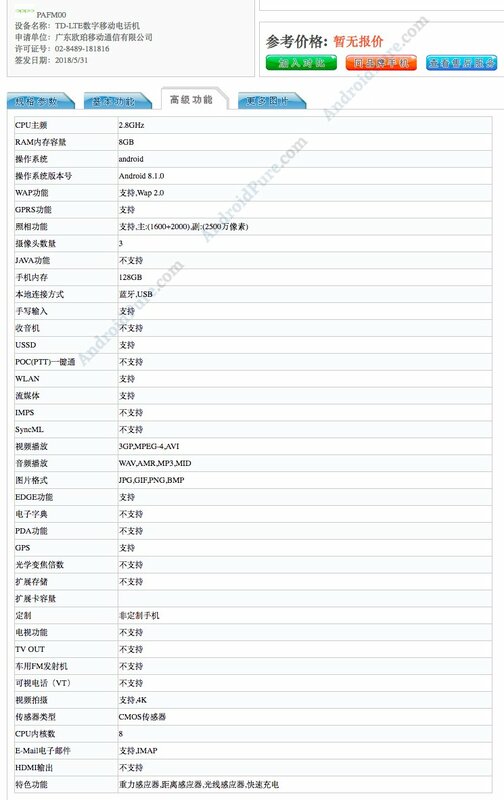 Oppo Find X hardware specifications are revealed by Chinese certification agency TENAA listing that has surfaced today. The listing though doesn’t reveal the render images of the device but apart from those device images & price of the phone, we now know most of the details. 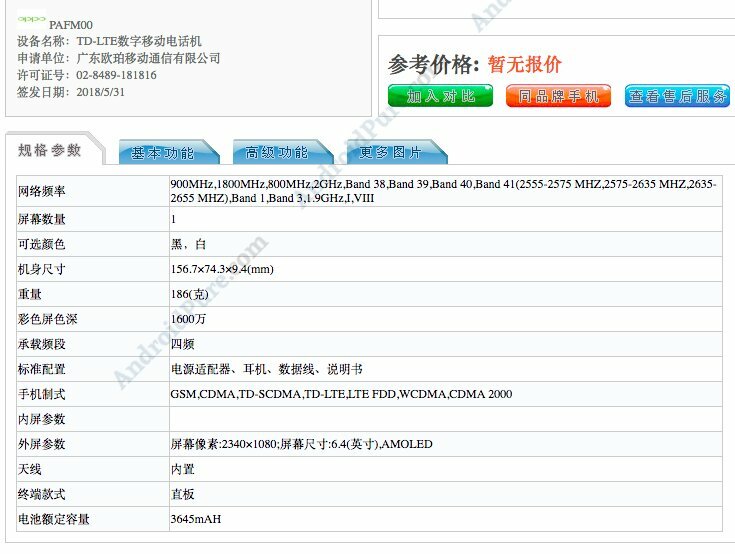 As per TENAA listing, Oppo Find X sports a 6.4-inch AMOLED display with an aspect ratio of 19.5:9 having a resolution of 2340×1080 pixels and is powered by 2.8GHz Octa-core processor i.e. Qualcomm Snapdragon 845 processor along with 8GB RAM. It comes with 128GB internal storage and runs on Android 8.1 (Oreo) based operating system. In terms of camera, it features a dual camera module with 20MP + 16MP sensors at the rear while on the front, you get a 25MP snapper for selfies and video calls. In terms of battery backup, it comes with 3645 mAh battery. In terms of dimensions, it measures 156.7 x 74.3 x 9.4mm and weighs 286 gms. Oppo has finally made it official and announced the launch date of Oppo Find X. 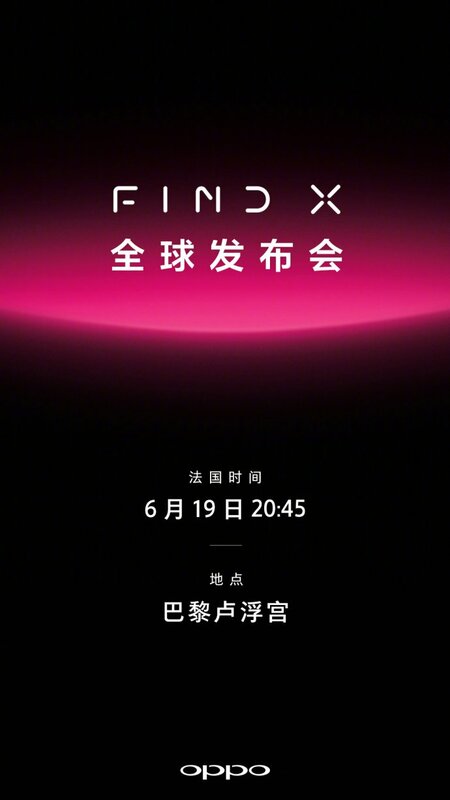 The company has released a teaser from its official Weibo handle in China which reveals that they will hold a Global conference/event in Paris, France on June 19 to unveil the Oppo Find X. This marks a departure from the conventional nature of announcing the Oppo flagship smartphones in China first though they do announce Oppo F series in countries like India first. 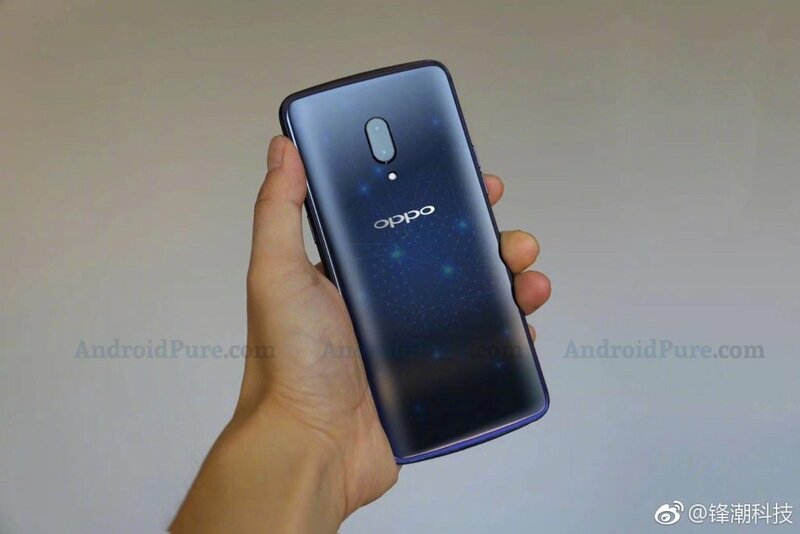 Oppo Find X may be the next full screen smartphone with premium hardware specifications that may be unveiled soon. The company has already confirmed the name of the device by releasing an official teaser from its official social handle in China. This will be the rebirth or recarnation of Oppo Find Series and Find 7 was the last device in that series released almost four years back. 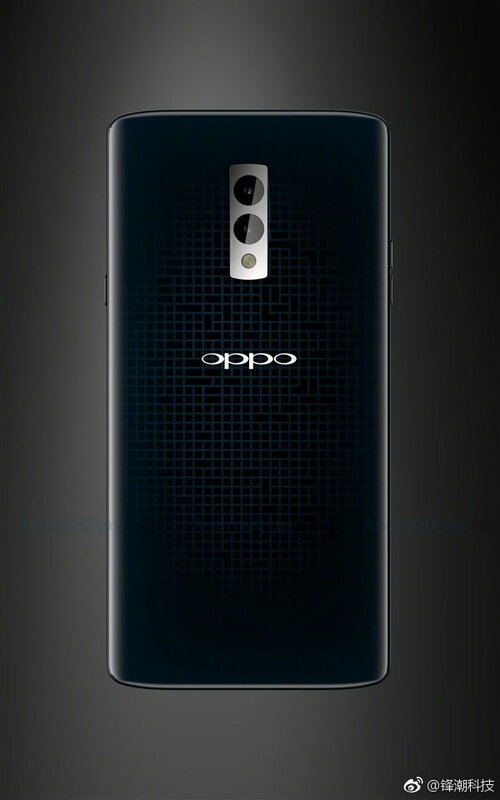 Today, a new set of alleged Press renders of Oppo Find X have surfaced on the Chinese Social network which reveal the design of the device and suggest that it will be a full screen smartphone with high screen to body ratio and features a dual camera module at rear aligned vertically on the rear. 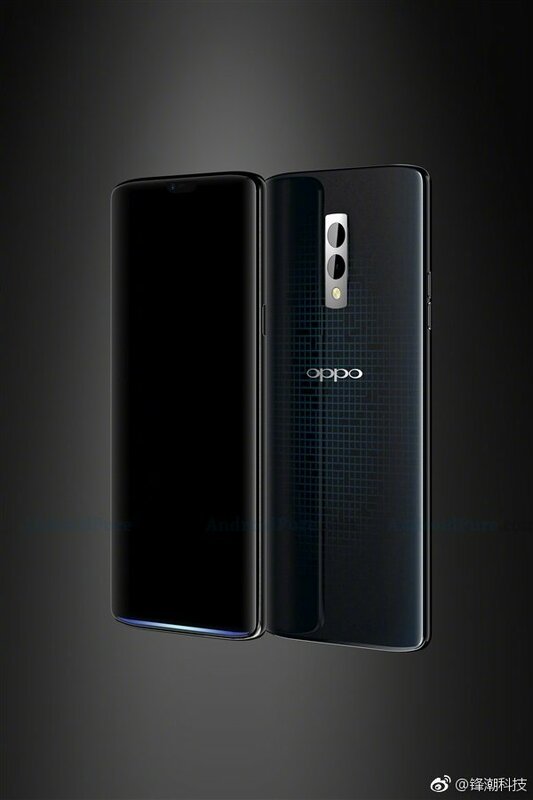 These Renders appear to follow the design of last Oppo Find 7 and hence we are not so sure if it is the real deal or not. 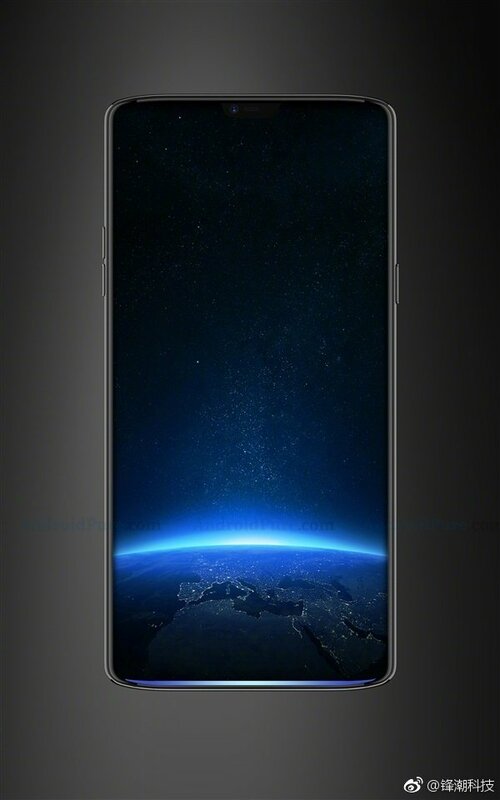 There is no home button at front or fingerprint sensor at rear which indicates that it may probably feature the under-screen fingerprint sensor just like Xiaomi Mi 8 Explorer Edition. AT the moment not much is know about hardware specifications of the device though earlier leaks suggest that Find X may feature a 6.42 inch 2K+ full-view display with high screen to body ratio, powered by Qualcomm Snapdragon 845 mobile platform. Under the hood, it comes with 6GB/8GB RAM with storage up to 256GB . In terms of camera, it may feature a dual camera module at rear with support for 5X Lossless zoom technology. In terms of battery, it is expected to be backed by a 3500mAh battery along with support for SUPERVOOC charging. The phone may be running on the latest version of Android.